WITHIN my recollection the Clyde in the near vicinity of the city was during the summer months a stream for bathers. I remember seeing a lad wade from one side to the other below the harbour, carrying his clothes on his head. It would now take a Gargantua to perform that feat. 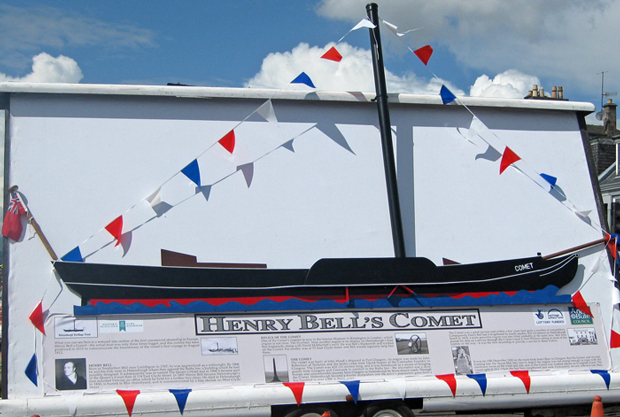 ONE of the highlights of the bicentenary celebrations in Helensburgh was the Henry Bell and the Comet Exhibition, lovingly compiled in 2002 by Bell enthusiast Doris A.Gentles, BA, and revived and augmented for this occasion. It was in the exhibition area upstairs at Helensburgh Library in West King Street from August to October, and also on display were a number of relevant works of art lent by the local Anderson Trust Collection. "This Is Your Life" used to be one of the most popular programmes on television, featuring well-known personalities. 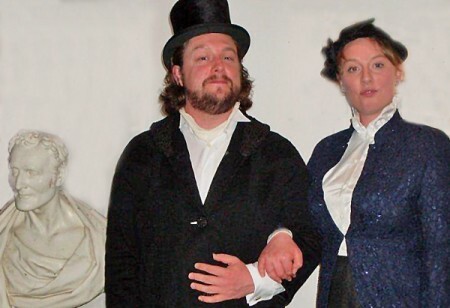 The programme was revived in Helensburgh on Thursday August 23, but with two major differences: firstly, it took the form of a play rather than a TV programme; and secondly, the subjects of the play had been dead for many years . . .
HELENSBURGH may soon have its own Comet Gate. 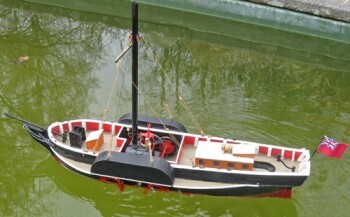 It has been designed by Helensburgh Modellers Club, who had hoped it might be placed on the pier where there was formerly a stone arch. 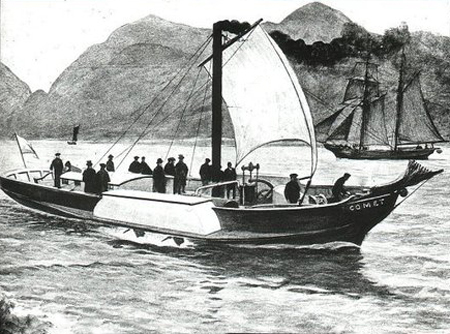 HELENSBURGH was not the only place where the bicentenary of Henry Bell’s Comet was remembered on Saturday August 4 — a toast was proposed in Sweden. As he had done 50 years earlier, retired naval architect Gerhard Schack raised a glass in tribute to the man who pioneered commercial steamships. Helensburgh's 2012 celebrations — a great day!